Year 9 Ski and Snowboard trip departed with ten year 9 students from both classes. We left in 1 van at 12.15 pm on Thursday, to avoid the worst of the traffic in Auckland. We stopped to pick up Peter Reinsfield and had a late afternoon tea and toilets at Bombay. We headed on to Otorohanga for dinner and arrived at the accommodation in National Park at 8.30 pm. After supper and a talk, the kids settled in to the 2 dorms for the night. We had an early start on Friday, with clear skies and strong winds forecast. A hearty breakfast was shared, then we headed up the mountain with 8 of the 10 trying out skiing. 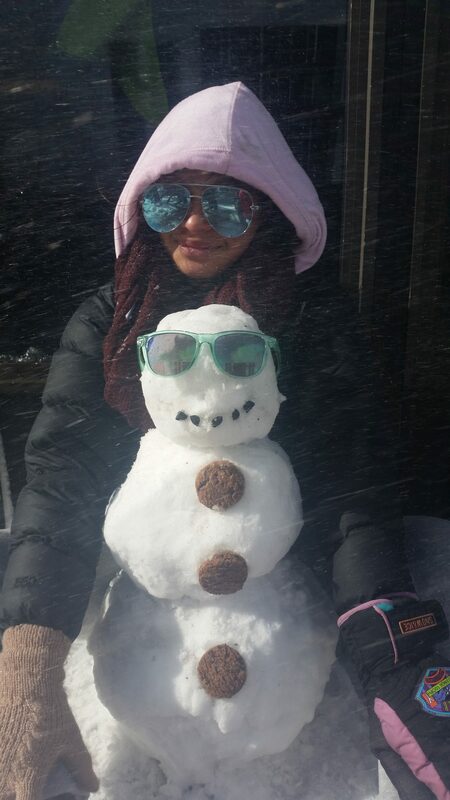 I have never experienced wind so strong on a clear day, and we waited enthusiastically for the skifields to open. After numerous snowball fights and a sideways glance at the costly menu in the cafe, we heard that the filds could not open for the day. Plan B began with a visit to the DoC centre at Tongariro village, then back to the lodge for lunch and chill. Volleyball kept us entertained, before we headed over to Turangi township, then the Tokaanu Hot Pools for a soak. We returned to the lodge at 4pm and began our indoor rock climbing stint. Most kids hired the gear and had a go, with stand-out performances from Oscar and Honey, with a great time being had by all. That evening after a Burger and Chip dinner, the rock climbing continued, then an early night was had by tired students. Saturday was forecast to be a pretty super busy day, and students were keen to get an early start. It was still windy, but warm with unlimited visibility. After being robbed of the Friday experience, they hit the slopes under the tuition of myself and Bushy. With their confidence up, and their gear sorted early, students ripped straight into their runs. 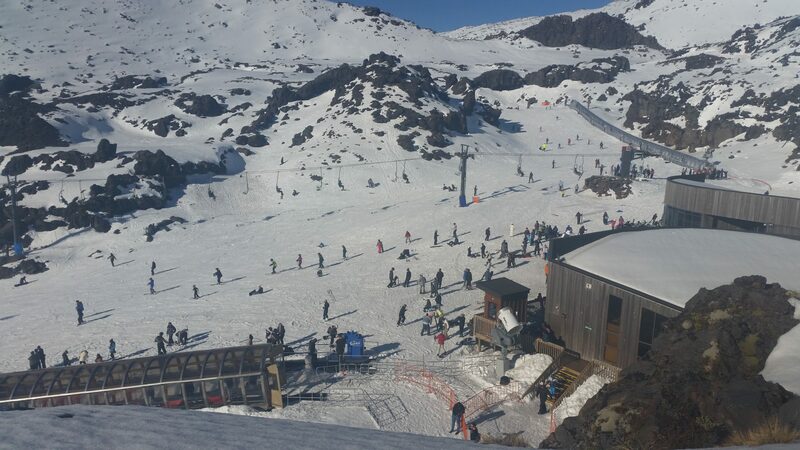 When the queues in Happy Valley built to ludicrous levels, I assessed the skills of Journee, Olivia, Oscar, Cianna and we went up the first chairlift. They all had a go at the stepper slopes, with Olivia and Journee carving them up relentlessly. 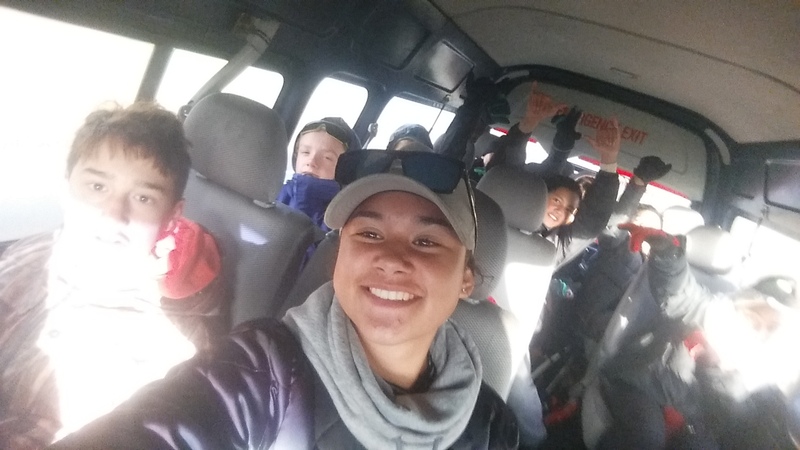 We left the mountain at 3.30 pm stopping at Otorohanga for dinner and arrived back at school at 11 pm. Students represented the school well at all times and were keen and positive. The grant received ensured the students had the appropriate equipment for the conditions. The lodge was well suited to us and our students with an area for volleyball to be played, and the indoor Rock Wall was a winner. Students had great attitude and resilience, helping with cooking, lunches and cleaning as required. The students benefited greatly from the experience of visiting a World Heritage Park, and seeing the mountain at its worst, then its best. Many thanks to the BOT for the student time released, and Garth for sorting the trailer. A special thanks to Peter for giving up his time, and relinquishing his couch to watch the Warriors play-off game, as well as lost earnings. His energy, experience and support for the students was invaluable.